Pantai Saba, Gianyar Regency, southeast coast of Bali. Complimentary airport transfer is available to guests who book directly with us. Pool bale, dining bale, living room, formal dining room, informal ‘great’ room, media room, game room, massage room, gym, catering kitchen, library, terraces. Villa manager, private chef, butler service, housekeeping, security, gardeners and driver. Additional staff (babysitters, masseuses, yoga) available on request and at an extra charge. In-house menu is available in the dining room and the dining bale. Complimentary breakfast served daily. A full European/American style breakfast is included as part of a stay at Jeeva Saba. An Asian style breakfast can be arranged upon request. Lunch and dinner at Jeeva Saba are prepared by guests’ request. Jeeva Saba offers an a la carte menu at set prices for a variety of Western or Asian lunch and dinner dishes. There is also a list of select bottles of wine that Jeeva Saba maintains in stock. Lunch and dinner menus are ordered in advance with your Butler. Our chef is very happy to schedule cooking classes for our guests. Barbecue facilities are available. If you’d like to self-cater, that’s also possible. It’s your time, your holiday, we’ll be there as much, or as little, as you like. Jeeva Saba is well-equipped for families. Amenities include: baby cot, high chair, car seat (on request), DVDs, play station, board games, croquet set, badminton, volleyball, bicycles and access to horseback riding and surfing within one km of the Estate. In-villa treatments from the spa menu can be arranged by request in the massage room, the bale or on one of the private terraces. A seven-seater car and driver are available on a complimentary basis for up to eight hours a day excluding gasoline. Events for up to 400 people sitting down or more with buffet style dining on the large beachfront lawns. Smaller groups can also be accommodated on the upstairs covered terrace. Jeeva Saba Bali Estate offers wedding and honeymoon packages in conjunction with Jeeva Klui Resort, Jeeva Santai Villas or Jeeva Beloam Beach Camp. Jeeva Resorts’ mission is inspired by a passion for responsible travel and commitment to Indonesia. In the Sasak language, Jeeva translates as “soul.” Our dedication to environmental stewardship and support of local communities and culture through responsible tourism is reflected in every Jeeva Resort. Jeeva Resorts are privately owned and managed with great care and focus on our guest’s experience. 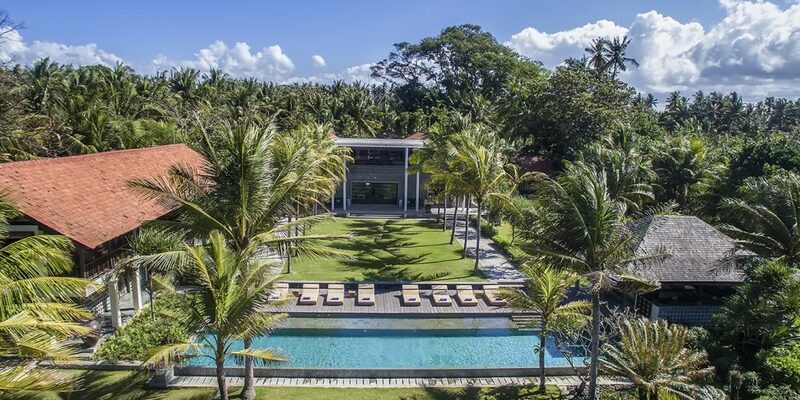 From the moment you arrive, you’ll be immersed in the warmth of a Jeeva Resort where every aspect is focused on your comfort and well-being: from design to locally sourced daily operations, Jeeva truly reflects the “soul” of its local community. We look forward to welcoming you to a Jeeva Resort.